Omorovicza Thermal Cleansing Balm is a nightly cleanser and super fast make up remover that relies on natural extracts, minerals from the Hungarian thermal waters and mud, plus the famous 'Hydro Mineral Transference' to cheat your way to beautiful skin. The 'Hydro Mineral Transference' is a brilliant Omorovicza invention that enhances the body's ability to recognise a good thing, in this case the clays, vitamins, minerals and trace elements found in this product's ingredients list. A dreamy first cleanse and perfect for any 'sk-intellectual'. Cleansing balms come from some of the oldest traditions in beauty. Avocated over anything else in Asia for luminous skin, balms are the first cleanse of choice for most ‘sk-intellectuals’ – and this one’s a cut above the rest. This black, oily balm is made with Hungarian Moor Mud and thermal waters; rich in clays, it draws out impurities, clears congested pores and introduces key minerals (calcium, zinc, copper and magnesium) which boost the synthesis of collagen, strengthens the skin barrier and antioxidant defence against free radicals. 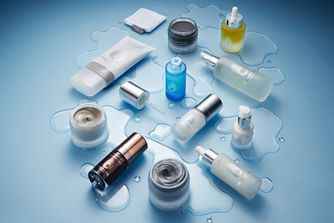 An all-in-one facial cleanser and top notch make up remover. Start with your cheeks and work in a circular motion to break down the balm, once it is oily, you work it up to your eyes and it will remove any make up you have on, including stubborn waterproof mascara. This is meant as a one step process, you clean your face with this and wipe, not wash, it off leaving all the oils and minerals behind as a treatment for the skin. 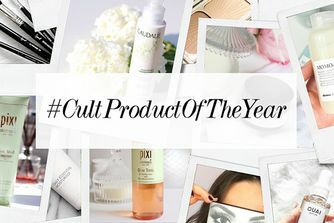 What's your cult product of the year? I got this as a sample and thanks to that I avoided buying it and being disappointed. Was so excited to try it but this doesn’t even remove a regular mascara and leaves an oily finish. Also it broke me out just after two uses! takes a lot of work to remove it, as I can’t stand it on my face. I really don’t understand the hype. Even the terrible Eve Lom cleanser is better than this product! still can’t find a luxury balm cleanser and will stick with my biore serum which is waaaay cheaper and works much better! love other products from this brand though. If you dislike balms or a rich oil, you will dislike this cleanser. However, if you adore balm cleansing like me and like to feel as if the beautiful oils are not only cleaning your skin but nourishing them, try this out. It is the most luxurious cleanser I own, as I feel as if my skin gets a hug when I use it. It does leave a slight film on the skin, I find the best way to remove it with a cloth. My preferred method is to massage it in, hop in the shower and let the oils soak into my face. I then use my hands and splash water onto my face to massage most of the residue off. Then when I exit, I go over once with a face towel or muslin cloth to make sure there is no residue. This way I get the most out of this balm. It is far too nice to use as a makeup remover in my opinion, it's primary purpose is to nourish my skin. I rarely find outstanding cleansers, there are nice ones that do the job while making me feel good, but this is the only one that has actually stood out to me and I have an extensive skincare collection. Beautiful, unique experience. Love the texture, smell and result. Destroys makeup and really delivers a spa-like experience (like all Omorovicza products!). If you like your balm to emulsify and rinse off, then this is not for you though. It is a definite flannel cleanser! I've never really had any interest in Omorovicza as a brand. I think it's too expensive for what you get. In US this balm cleanser is $110 for 50ml (what?) . I brought it along with me on my trip (not gonna bring my gigantic 200ml Emma Hardie tub and was too lazy to decant it). I used it that first night, it was chilly and the balm removed all my make up, even the mascara & eyeliner. I was a bit hesitant about the mud bits in the cleanser (thought they were going to be too abrasive), but they're pretty gentle on the skin and easy to remove. I never had any greasy feeling after cleansing. I then used a foil sample of the Omoressence and topped it with Tata Harper Rejuvenating Serum. And man oh man, in the morning my skin was firm & supple (I have oily acne-prone skin) my pores looked smaller. I'm a total convert now. Eyeing the 100ml tub now... PS: If you're in the US, BUY FROM CULTBEAUTY, it'll save you a lot, like A LOT. Like a couple Charlotte Tilbury lipsticks a lot. How have I lived without this product in my life? It is just beautiful - from the creamy consistency, to the delicious citrus scent. It is just about the only cleanser to successfully remove even my most stubborn black eyeliner whilst also not leaving my sensitive skin red and parched. It is the perfect balance of gentle and effective - I love it! I have extremely oily skin, and have has cystic acne as well as severe scarring for about 8 years now; following me into my adult life. The last skincare item I would think of purchasing would be an oily cleansing balm like this one. But I got tired of drying out my skin only for it to remain oily, and have the added (negative) bonus of also having dry patches all over. I did some research and found that combatting oily skin can be done with oils, you just need the right kind. Such oils are present in this balm- sweet almond oil, jojoba oil, and even apricot kernel oil (more suited for combo/dry skin). I have used this balm in conjunction with Alpha-H liquid gold, which I LOVE, but it dries me out a wee bit. This balm fixes all of that, and leaves my skin soft and hydrated, but not oily and clogged. It's really gentle as well. Definitely, use a cloth to rinse off. It even helped with some of my texture on my forehead and in between my brows. My skin feels smoother with each use. My only con is the hefty price. The balm is nice enough in application and does an okay job as a second cleanser but it just doesn't work miracles. Yes, it's not drying, but it leaves the oily layer on the skin even after removing with towel, and not everyone is comfortable with it. Also I can't say that my skin (combination to dry) has become any better after using it for a couple of months and I would expect it for such a price. This balm does a really great job. It is gentle on eyes and easily removable. Does not leave residue, and my skin is soft and plump after using it. I liked that it wasn't strongly perfumed. It is slightly less rich than the Emma Hardie balm which might make it a good choice for morning or second cleanse. I used up my deluxe sample quickly and really enjoyed using this product. I would consider buying. There was a time when I overdid the application of acids on my face and it became red and raw. No peeling but had lots of small bumps (it looked like chicken skin but red). It was VERY dry, and everything I put stung like crazy. My usual Sunday Riley Ceramic Slip barely touched my skin and I hurriedly rinsed it off. In a "what the heck" moment, I pulled out a sample for the Thermal Cleansing balm and used it on dry skin. I was expecting more stinging, but there was nothing, It just glided on my skin, very soothing as I massaged it. Then gently removed with a warm washcloth. My face instantly became less dry and raw. I followed with a spray of the Queen of Hungary mist. I immediately ordered a full size. If it could handle skin that raw, then it can handle anything! Lesson learned: use acids with care, and when in doubt of what to use and in case of emergency, turn to Omorovicza Thermal Cleansing Balm. This cleanser is amazing...everybody always comments on my skin when I'm using it. I tend to use it about four nights on the trot about three times a month. This will always be in my skincare routine. This is my 2nd purchase. Thought I could get away with another less expensive balm but you get what you pay for I guess. Repeated use continues to leave my skin soft and hydrated, doesn't sting my eyes - which is very important to me and doesn't give me little bumps. Another reviewer mentioned using this with Foreo Luna, I'm going to try that. This cleanser is best to use in conjunction with another everyday cleanser. I tend to use this as a treat and deep clean. Massaged in (first with hands and then the Foreo Luna) followed by hot muslin cloths, this is an heavenly experience. It leaves your skin supple and glowing. This would be equally effective morning or night but I prefer to use this at night (alternated with Emma Hardie moringa cleansing balm) and use Su Man's cleansing gel in the morning. Nice feeling product on application but this balm seems to sit in my skin and makes it feel dirty all day - even when thoroughly removed with a cloth. I just don't think a balm suits my skin which is oily and has acne scars - so the product collects in it. This cleanser is AMAZING. I am never one to buy into hype but having tried a generous sample of this I can safely say it leaves your skin feeling hydrated and supple. I suffer from dehydrated skin and for once a skincare brand has released a cleanser which combats that. I would use this both morning and evening and really massage it into your face using the full hand and then gently wipe off with a muslin cloth. I have read hundreds of makeupalley reviews about cleansers - believe me this is worthy of your time in the face-ripping London winter. I've tried eve lom, hardie and omorovicza. And I must say that eve lom is the best out of all of them. It cleanses the most efficient, it never caused breaking out and in fact it is the cheapest. Maybe the smell is the least appealing and it is not natural but it really does a great job. Omorovicza breaks me out so much and it feels like it doesn't clean deep enough, plus quite expensive. Maybe for dry skin is good and also for a skin that doesn't wear that much make up. I use BB cream which must be completely removed. I LOVE THIS CLEANSER! I had a sample and now I'm ordering a full size version. It smells absolutely divine and leaves your skin nourished and feels amazing! I love this cleansing balm! It leaves my skin super soft, smooth, feeling clean, without any greasy feel. It's perfect, my skin feels so hydrated! I've heard a lot of people say they have a problem with the smell, but I think it smells just fine. I actually like the smell:) The only downside is the price, but you only need a small amount. Worth it! Removes makeup well and leave the skin soft, but best of all is how much I love the smell. I use it as an alternative to my basic oil cleanser on nights when I want to give myself a treat. I love, love this as a second cleanser. Even though the price is crazy cheap I just love this. The ingredients are amazing and when using this my skin feels clean yet not stripped. I gave this a go after seeing all the fantastic reviews. But it didn't live up to my expectations. The smell alone is so strong, it's off-putting to use. After using this as a first cleansing step and then using another cleanser for the second, this balm still left a greasy film on top of my skin. Not recommended. This cleansing balm is just gorgeous to use. My skin is amazingly smooth after and it feels like a real treat to use. Definitely, recommend. My skin is oily/normal. Smells beautiful too. I’ve fallen head over heels for this cleansing balm and, in fact, for Omorovicza as a whole. Having failed to get on with other balms I’ve tried and suffered with breakouts, I worried that this wouldn’t be for me – but I couldn’t have been more wrong. Within a couple of uses (as a first cleanse) it has transformed my skin, finally getting rid of the stubborn blemishes that nothing else would shift, as well as removing make up and leaving my complexion unrecognisably soft, plump and dewy. I’d honestly never dreamed cleansers could be this good. I’ll recommend it to anyone that will listen. Totally besotted. The Thermal Cleansing Balm is the best cleansing balm on the market. Yes, it is a tiny bit grainy, and yes, it is expensive. But it also fights clogged pores like a champ (just give it a week! ), it smells heavenly, glides on smoothly, doesn't sting, doesn't dry out and removes make-up. I love the clean but nourished feeling after using this. I always use the balm in the evening, and my mixed skin loves it. I'm on my third jar and will forever repurchase. This is undoubtedly a luxurious and nice cleanser. Love the subtle and natural scent of neroli. It's a perfect morning cleanser to treat tired and sensitive skin. My skin is both sensitive and prone to oil and acne, so my skincare products has to tackle all kinds of skin mood swings, and over all, I would say this is a really nice cleanser for most people. However - I personally would prefer if it had a higher content of mud, as I didn't really feel like it cleaned my skin properly when it was on the oily side. It's also fairly expensive for a small amount of product, so with these factors in mind, I don't think I would repurchase - at least not in the warmer months when my skin is oily. I might repurchase in the winter months if my skin gets really dry and sensitive, though. This cleanser is absolutely amazing. I read reviews where they said this leaves some kind of film on the skin, but I never had that problem. I have hypersensitive combination skin that reacts to a lot of products by either getting oily, or getting irritated marks like tiny red spots and scratches that stay all day. I was afraid that this product would require too much pressure to massage in but it feels like heaven. I can see it being too much for very oily skin types though. I have combination skin, and just love cleansing balms. This balm removes make-up easily, blends well into the skin and rinses well. Leaves a clean, yet not tight or dry feeling. can I get a subscription on this? On my third jar now. Like another reviewer I thought I could get away with other less expensive balms... This removes make-up very well and doesn't leave my skin dry or tight. It never caused little bumps on my skin, like some other cleansing balms have. My skin appears smoother and skin tone more even. I massage this with my fingertips and remove with a flannel (à la Mrs Hirons), followed by toner and moisturiser. I love this cleanser! It is effective and my skin feels quite soft afterwards. There is the occasional "grainy" particle in it, maybe it's the moor mud? Anyway, it doesn't take away from the cleanser, just a heads up. I use it all over my face and eyes. I love the smell too, reminds me of first monsoon rains when you get that wet earthy smell. This balm changed my opinion about cleansing balm. Since in my view thorough cleansing is the key to good skin I never considered using a cleansing balm instead of a face wash. At the same time I saw removing make up with a balm as an unnecessary step if your are going to wash your face anyway. Also the balms I had tried left a sort of oily residue wich I could do without. That was until I received a sample of the Omorovicza Thermal Cleansing Balm in a Cult Beauty goody bag. The Day after I first tried it I just couldn't stop touching my face because it left my skin incredibly smooth right away. So I used the sample up and recognized a serious improvement in both the smoothness and the clarity of my skin within the three or four weeks the sample lasted. Needless to say I ordered a full size and have been using it ever since as one of the few stables in my skincare routine. This is the most expensive skincare item I have ever bought, and unfortunately, I regret buying it. After reading all the rave reviews and recommendations, I encountered the thermal cleansing balm and deep cleansing mask duo, and decided to take the plunge. I have used this cleanser as a second cleanse, and I have found it to be way to rich for my combination-oily skin. I feel like it doesn't cleanse my skin as thoroughly as I'd like, and if I use it a couple days in a row, I break out quite badly. Currently I use it once in a while, when my skin is feeling a bit dry, but even then it just doens't WOW me. I will not repurchase this product and advice people to test it out before purchasing it. In the beginning I loved this - was smitten by the amazing smell and silky texture. It is an effective cleanser (and definitely has the luxury factor - gorgeous packaging, price tag to match etc.) but as time went by I decided it was a little bit drying for me. The proof is in the pudding and six months later (having made my way through a trial size of this and then a full-size tub) I am now back to the Emma Hardie cleansing balm. It's significantly less and slightly better. Having said that, this is great if you fancy a change and aren't worried about the price. I try a lot of cleansers but I find this fantastic. My skin looks immediately clear and bright. I use it in the evening to take off my make-up. Beautiful. The product is just lovely. I have noticed a big difference in my skin since using. My skin, is softer, brighter, plumper and it feels really nice too. I never normally would write a review but this is so good I had to. I love this cleanser! I use it as a treatment cleanser when my skin is in need of help – whether because of breakouts, redness or just looking a little dull. It’s a perfect morning after cleanse if you have over-indulged the night before – it feels detoxing without stripping. Perfect for a slightly older skin that needs a boost.